Mega Sale! 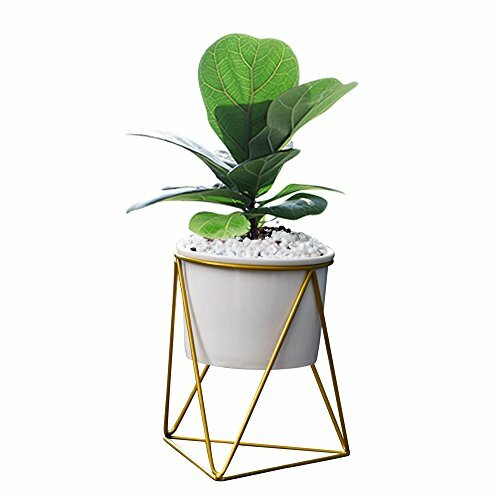 Save 26% on the Feiren Outdoor/Indoor Planter Pots/Succulent pots/Stand for 6'' Pot House Plant White Ceramic Round Bowl with Metal Air Plant Stand for Succulent Planter -Perfect for Fig Tree Ficus(White + Gold) by Feiren Outdoor at Tulips Orchids. Hurry! Limited time offer. Offer valid only while supplies last. Beautiful white planter pot for succulent, cacti, and air plants. Perfect for the office, kitchen or living room! Made of durable and high quality white ceramics and iron, characteristics of the corrosion resistance and durable. Succulent / cactus not included. Most smaller succulents will fit perfectly. Drainage holes have been added to the bottom of the pot to insure proper root care of the cactus or plant. If you have any questions about this product by Feiren Outdoor, contact us by completing and submitting the form below. If you are looking for a specif part number, please include it with your message.